The number below are single family, townhouse and condominiums for sale and sold in the City of Worthington. Worthington is a suburb of Columbus in Central Ohio. This report and the graph shows market demand by comparing current inventory to number of homes sold in a 15-month period. Graphics and table are from Trendgraphix. 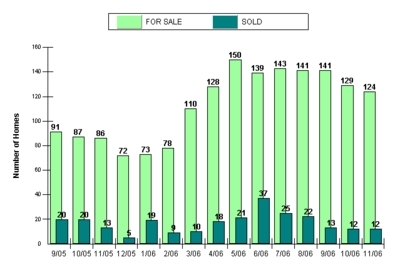 The data is Columbus Board of REALTORS® MLS. closing comments due to spam.